“On behalf of the board of directors, advisory board, supporters and friends of Orthodox Christian Laity, thank you for expressing your thoughts on the present condition of the Greek Orthodox Archdiocese of America and offering positive suggestions for the future of the Orthodox Christian Church in the United States. Your remarks upon receiving an honorary degree at Hellenic College – Holy Cross School of Theology are a turning point in the life of Orthodoxy in the U.S. Your insights and suggestions are courageous, timely and necessary. In addition to your past service to the Church Community, you are truly worthy (Axios!) for expressing the truth. You have given the faithful the example and permission to express themselves on issues that are important in the life of the Church. We cannot move ahead as an indigenous Christian Church Community in the United States if we cannot communicate with each other honestly and freely. Your example inspires us, young and old, to seek solutions to our problems with truthful dialogue. 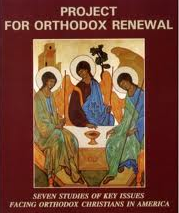 You have performed a great service for the future of Orthodoxy in the U.S. The building of a shrine at ground zero in New York City is a worthy symbol, but it is an empty symbol, if we, as a faith community, cannot express our concerns to each other in a free and open way and not be marginalized by the hierarchical structure of the bishops, clergy, administrators, and appointed laity. You have changed the structure by speaking truth to power. We pray that the Lord continue to bless and keep you and your family. 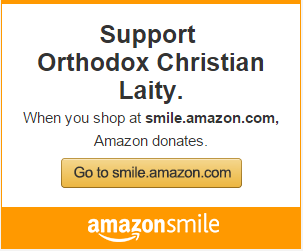 We pray that you continue to be an outspoken steward of Orthodox Christianity in the U.S. The attacks leveled at Mr. Valiotis for exercising his rights to freedom of speech and freedom of conscience are undeserved and unworthy of Church leaders. His demeanor of grace under stress should help appointed clergy and lay leaders to follow his example and continue to speak truth to power, and collectively act, through the Archdiocese Council, to correct the uncanonical set up, fragmented leadership and reign in the clerical patriarchal nuncio, factors all working to weaken the authority of the Archbishop and the Archdiocese itself. We must stop being janissaries – against our own interests – as a Church in the United States and take back the responsibility to manage our affairs with accountability, transparency, unity and lay involvement in all aspect of Church life. Background information pertaining to Mr. Efstathios Valiotis: In addition to his business accomplishments, he is also a recipient of an Honorary Doctorate Degree from Holy Cross Theological Seminary (May 2018) and is an Archon of the Ecumenical Patriarchate. Mr. Valiotis is the founder and chief executive officer of Alma Realty Corporation, one of the largest real estate development and management firms in New York City, and founder in 2007 of Alma Bank. Mr. Valiotis emigrated to the United States from his native Greece in 1972 and, through tireless effort and strong ambition, went in just a few years from working in the food industry to establishing a furniture manufacturing and retail business, to investing in real estate. His expertise in acquisition and development has included the purchase, sale, construction, and management of both residential and commercial properties, including many units of much-needed affordable housing in one of the world’s most expensive housing markets. Mr. Valiotis is a deeply committed Greek Orthodox Christian who holds a degree in theology from the University of Athens. He is also a strong believer in the power of education. Accordingly, he has used the fruits of his material success to support many Church-related entities and educational institutions. 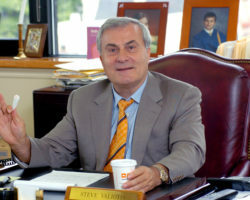 A 2,000-student technical college in Sparta – his hometown in Greece – was financed and built by Mr. Valiotis and bears his name.